Recently, I had the opportunity to stay in some of Hong Kong’s best hotels. Over a period of 10 days, I spent time in three of the best properties in the city, and was beyond impressed by both the quality of the properties themselves as well as the services on site. Below is a review of the three hotels. The Marriott SkyCity might be mistakenly referred to as an “airport hotel”. However, the property really is much more than that. Sure, it’s within walking distance from Hong Kong’s International Airport, but it’s also a jumping off point for a variety of Hong Kong’s top attractions. Just a short shuttle or train ride away, Marriott SkyCity finds itself in the proximity of Hong Kong Disneyland, the Big Buddha, and a variety of hiking trails within the island. Beyond the attractions outside the hotel, the property itself is fit with an award winning spa, gym, pool, and a couple top-notch restaurants as well. Who should Stay at the Marriott SkyCity? 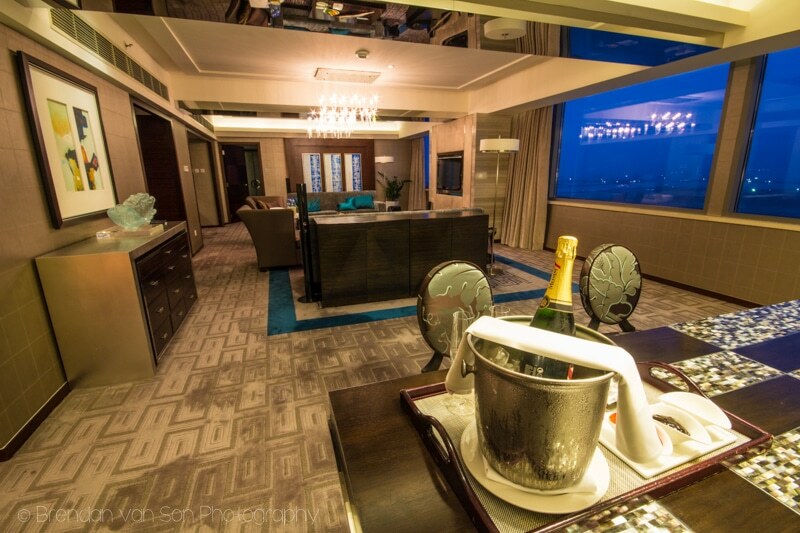 The Marriott SkyCity caters best to the business-luxury class of travellers. People that have only a short time, but a fairly large budget, will love this property. It’s close to a lot of things, and the train heading downtown is convenient if you need it. It also likely caters to families hoping to take advantage of the more family-friendly activities in Hong Kong like Disneyland. Of course, it also does work as an “airport hotel”. If location is what you’re looking for, you have it here. The Renaissance Harbourview might not be quite as high-end as the other hotels listed here, but the value is all in its harbour-side location. Not only are the rooms fit with beautiful views out onto the harbour, but they are within but a few steps from the ferry service that shuttles people over Kowloon and the MTR subway. Moreover, it may be the perfect hotel for conventions as its just a few steps from Hong Kong’s largest convention center. On top of it all, staying here you’re only feet away from the best views of the Hong Kong Skyline, if you don’t already have an amazing view from your room. Anyone, really. If you’re not on a backpacker’s budget, this hotel is near perfect. It houses a number of nice restaurants, a great garden and pool area, as well all the other facilities one might expect to find from a class hotel. The location really makes it a perfect fit for nearly anyone. Catering to the business traveller, the JW Marriott is pretty much everything people have come to expect from the JW-wing of the Marriott hotels. The location, up along the hills of Hong Kong Island, is absolutely stunning as is the pool that sits among the greenery of a city far more “natural” than you might expect. 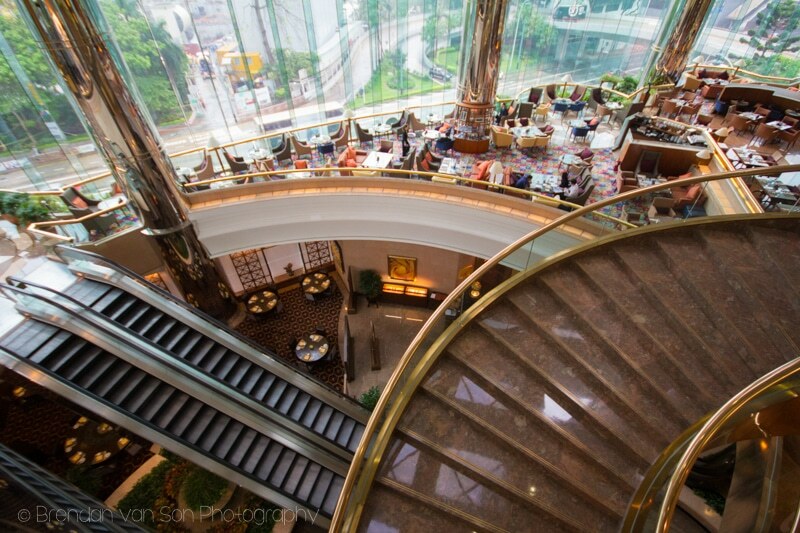 The restaurants within the property are absolutely world-class, and the breakfast buffet is worth its weight in gold. Also, if you come, be sure you head to the bakery near the reception area for some of the best pastries in the city. Furthermore, as the property is attached to one of the fanciest shopping malls in Hong Kong, if you’re a high-end shopaholic, there is no better place to be. If you’ve got the budget to spend on the hotel, you should. The location is great, and the rooms are top-notch. As I mentioned, it’s likely that this is the best hotel for you if you’re a business traveller. The rooms are set up with the business person in mind, and not only make great rooms but office spaces. If you fall into the class of “tourist” then there are options here as well. You’re within walking distance to the entrance to the Victoria’s Peak tram. 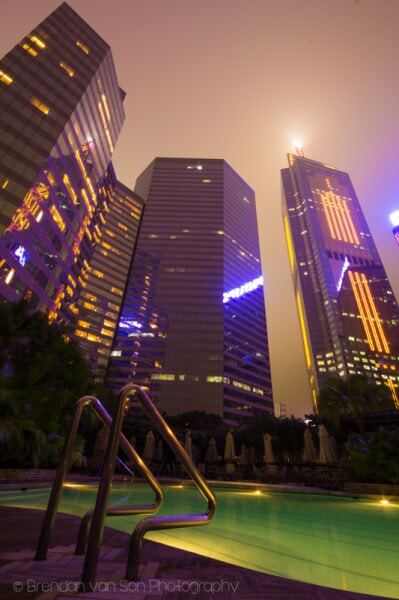 What’s your favourite hotel in Hong Kong?